According to Daily Variety, M. Night Shyamalan has gotten the go ahead from 20th Century Fox to make ‘The Happening‘, a movie that follows a family trying to escape a looming natural disaster. 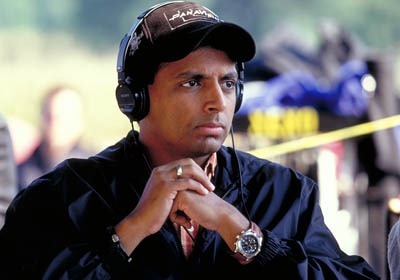 Shyamalan will write and direct the flick which is currently scheduled for a June ’08 release. Early hits like ‘The Sixth Sense’, ‘Unbreakable’, and ‘Signs’ solidified the young directory as a breakout talent on the cusp of becoming a top-tier movie maker. But the lackluster reviews and success of ‘The Village’ were the first signs that maybe Shyamalan didn’t have the Midas touch he had during a string of box office hits (which includes writing credit on ‘Stuart Little’). This news may surprise many movie fans and critics who widely panned his last effort Lady in the Water staring Bryce Dallas Howard. Internet rumors have swirled around for months that the director would have trouble getting support for his next movie given the poor box office showing of Lady in the Water. I guess in Hollywood one blockbuster and a little buzz carry a lot more weight than talent, but fickleness is one trait that movie studios possess in spades. Shyamalan shouldn’t forget that eventually Hollywood’s patience could run out. I read somewhere that Shyamalan may direct the screen version of one of my favorite cartoons – Avatar. Everything I’m hearing now about ‘Lady in the Water’ and the fact that I didn’t really like ‘Signs’ or ‘Unbreakable’ really has me concerned about Shyamalan ruining Avatar.